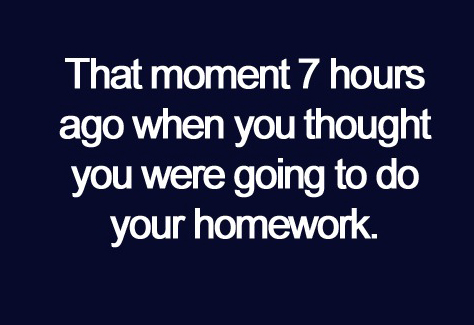 I waste even more time. You don't need a blog to read blogs...Press yes! onwindydays on What is success? People that make me think, or laugh...or both! So. I’ve been tagged by Miss Addie from Betwixt and Between. At first, I had no idea what being tagged was. I just figured it was…actually I didn’t know what it was. Haha, but thanks for the tag! And I will try my best to answer the questions with something that will give a little more insight to who I am. So Addie, here you go. You must post the rules. 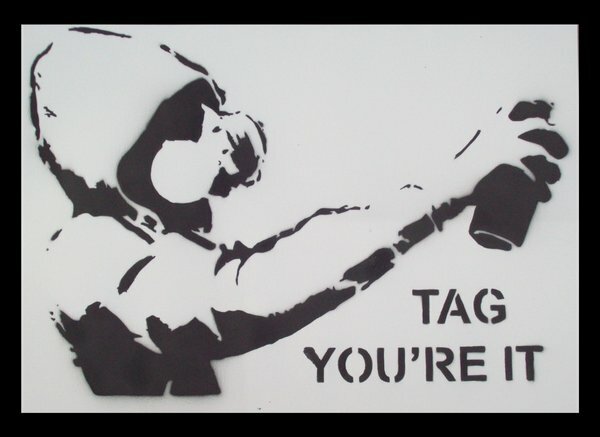 Answer the questions the tagger set for you in their post and then create eleven new questions to ask the people you’ve tagged. Tag eleven people and link to them on your post. Let them know you’ve tagged them! 1. What is the weirdest question you’ve ever been asked? I’ve had quite a few…however I can’t seem to remember any of the good ones. But the most recent one that I had was of this man who wanted to know which High School I go to. Ok guy. I’m in college first of all. And does my university apparel not give enough clues as to where I go?? Well, I guess it’s a good thing that people think I’m younger than I am, better than it being the other way around. 2. Given the choice of time travel, would you go back in time or forward? Whoo boy, well if I had a choice like that I would want to go back in time. I would give anything to see what I was like when I was little and from another point of view. I would also want to see my family as they were when they were together. I think it would have been a really peaceful setting. I wouldn’t choose to go forward in time because I don’t know what’s going to happen in the future and I would like to keep it that way. Keep it a little surprise, if you know what I mean. 3. What is your favorite late-night snack? Ice cream. I love ice cream! But usually I don’t have the money to buy luxuries like that…Ima poor college kid!! One thing though, that ice cream may be the best thing as it enters my mouth but I feel like trash the next day. Nothing a little workout can’t fix though right?! 4. Tell us your weirdest dream. I was Superman…for a second. 5. Describe the perfect date. 6. What song is stuck in your head? 7. What is the best way to develop a positive attitude? The best way to develop positive attitude is knowing that you are worth something. You may not know it, but there is always someone that looks up to you as an example. That one took me a while to figure out but knowing that I (out of all people) am a role model really changed my views on how I should conduct myself. Not only that but just appreciating all of the little things life throws at you. You could be in such a worse state than the one you’re in now. You could have to struggle to survive everyday, knowing that food is not always a guarantee, that the home you may have now at the moment could be a different place tomorrow. Just being able to read this post in your comfortable room/library/wherever you may be already puts you in the top percentage of the worlds population in terms of being in a comfortable living environment. Appreciate everything. 8. If you could invite four people-living or dead- to a dinner party, who would they be? I would definitely want to invite Bruce Lee, Muhammad Ali, Martin Luther King Jr., and Steve Carrell (for some comic relief). I think that it would be great to have living examples of leadership. I mean yea, I can read about them all I want but it would be a totally different/awesome experience to actually have a chance to talk to them. 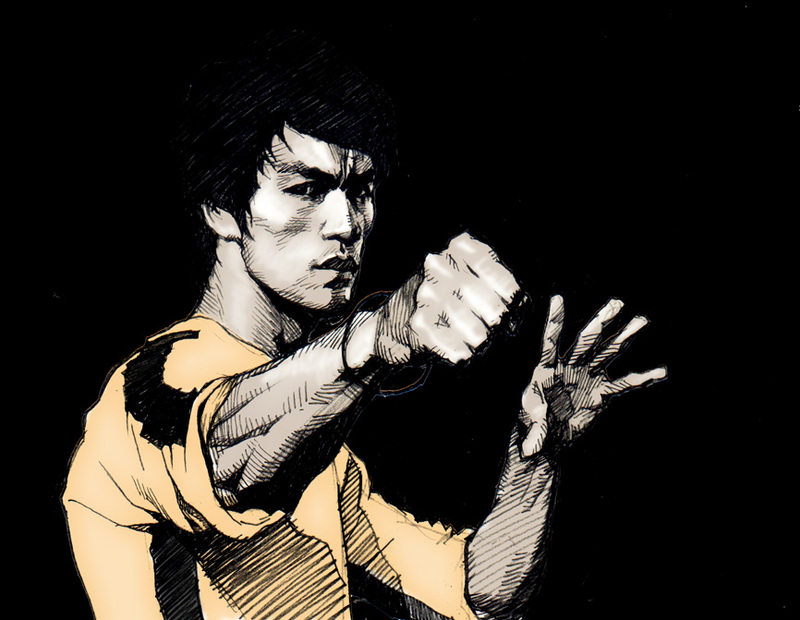 Especially Bruce Lee, I absolutely love the philosophies that he holds towards living life. Such a shame that he had to go way too early. 9. Who is your look-alike? 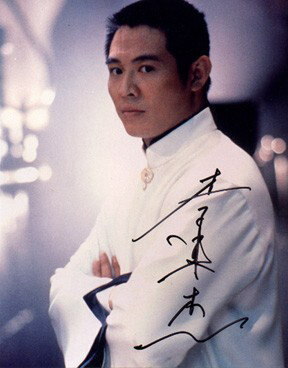 I’ve had a few people tell me that I look like Jet Li. Haha, which is pretty cool but I don’t see that much of a resemblance. However, I am a huge fan of Jet!! 10. What is your answering machine away message? If you don’t have one, you can make it up! beeeeep…”Hi there. This is Simon speaking. I’m home right now, and in a moment, I’ll have a decision to make. Leave your name and number and I’ll be thinking about it…” Hahaha. 11. It’s said that you learn something new every day. What did you learn today? I learned that it’s good to take a break every once in a while. I’ve been just a little stressed this past week. Heck this past month. And I’ve actually had a chance just to relax a bit, talk with the family, hang with friends. You would be surprised how much something as little as that can help to pick you back up so that when the storm comes again, you’ll be ready. Well, since you’ve been tagged…that obviously means you have a blog. What led you to create it? What country are you from, and if you had the opportunity what country would you like to visit? If you were an animal, what kind of animal would you be? What is the last book that you read, and did you enjoy it? What is the one greatest piece of advice that you have had the opportunity to receive from someone? If someone wrote a biography about you, what do you think the title would be? Who has had the most impact in your life? (Hehe) And how did you first find this blog? Lately I’ve been having these really vivid dreams. Actually, I wouldn’t even call them dreams but more so nightmares. I usually don’t have dreams, nevertheless the really clear ones, unless I’m super tired. And after that Scuba class on Thursday (our first open water class) I was wiped out. Anyways, my first dream consisted of one of my best friends giving me a haircut. Since they were my friend I didn’t give a second thought about it, since I trusted them so much. 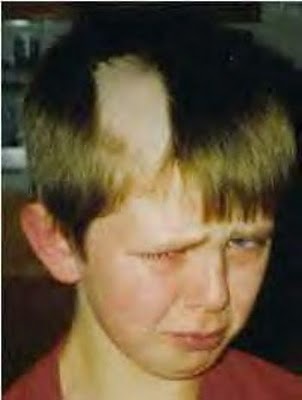 However as the haircutting began so did my horror. My friend cut one swath through my hair and somehow in the process cut through half of my eyebrow. Now I know that when you’re describing a dream it sounds idiotic and the more you think about it, the more unbelievable it sounds. I felt so embarrassed, because there was no way that I would be going to school like this. I would rather take a calc final while being fed broccoli dipped in sour cream by angry midgets than to allow that crushing blow to my image. Anyways I woke up not too long after to my utter relief. Night 2, consisted of an even more horrifying experience. 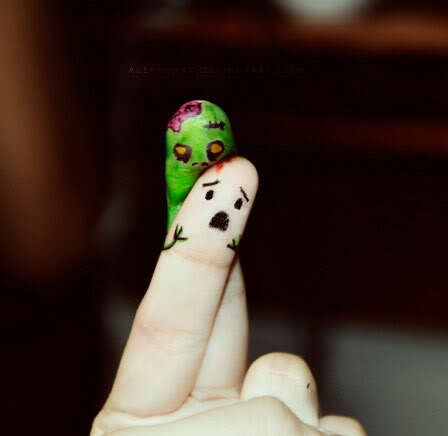 The whole dream consisted of me sprinting for my life and playing the occasional hide and seek with a mob of zombies. This mostly consisted of me climbing and jumping over countless walls. There only seemed to be 50% gravity and I had an additional 50% increase to speed. I noticed that when I was passing cars as I ran. Hey, it may sound ridiculous now, but it all made sense while I was entrapped in that horrible nightmare. There was one part where I was sure that I would die. I was trapped in some random alleyway in the middle of the forest and the zombies were right behind me. There just happened to be a palm tree just in the corner so instinctively I hid behind it. Now a palm tree has enough mass to hide maybe a lamppost. But being completely mindless, the zombies just walked right past me through the wall at the end of the alley…Being as completely brainless as they were I probably could’ve stood in front of them and they would not have noticed. But I’m not trying that, not in a million years. The end of that dream consisted of me waking up to a glorious sunrise in a feather down bed. I woke up and walked out of my little shack to a magnificent green pasture that was nestled in the valley of two majestic mountains. That’s when I heard them, their shrieks…and it suddenly was dark again. I really woke up at that moment, and I have never been so glad to wake up from a deep sleep. I was in a cold sweat, breathing hard, and pretty much crying like a baby…you would’ve thought that I had just been assigned physics homework from those conditions. Never have I been so glad to wake up to my neon Bruce Lee poster on the other side of my room. Not that I’m not glad on normal days, but even more so today. Because with Bruce the zombies have no chance.